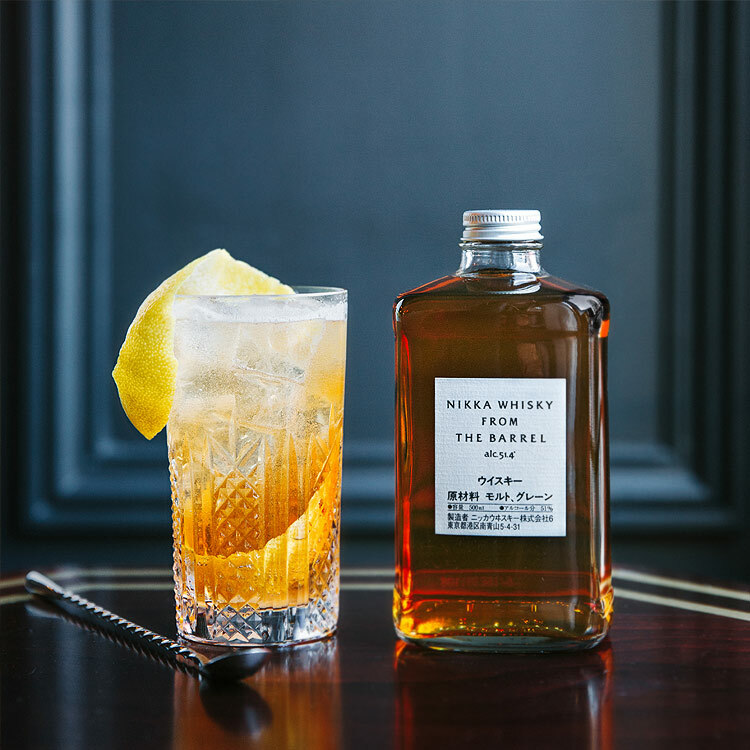 Pour the whisky in a chilled highball glass. Top up with ginger ale and stir again very lightly. Garnish with a lemon zest spiral.